If you are the owner of enlarged pores, then you probably already know that this problem should be solved in several stages. First, you need to remove a layer of dead cells using a scrub or acid peeling to unclog pores. Then it is desirable to clean the pores with masks (for example, with clay). And only then you will need an active agent (serum), which will help narrow the already cleaned pores, strengthen them and reduce the production of sebum. Pay attention: some manufacturers promise “instant visible reduction of pores”. Such products are most likely to contain silicone, which fills the pores. 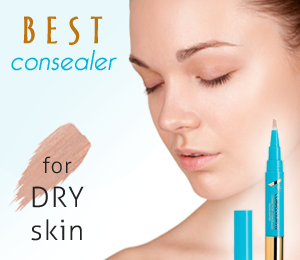 Due to this, the skin instantly becomes smooth and even and cosmetics lay better on it. In fact, there are not serums, but primers or foundations, which mask the problem, but do not help to solve it. What ingredients should contain the pore minimizing serum? Vitamin C or other antioxidants are perfect to give pores a tone, while acids (salicylic, lactic, glycolic) in a reasonable concentration will continue gentle exfoliation during the day. And niacinamide or peptide complexes will have a gradual effect at a deep level. After cleansing and narrowing the pores, you need to moisturize the skin, filling the voids in the skin matrix. To do this, you need hyaluron and nutrients, such as stem cells, or light vegetable oils. And finally, some serums contain prebiotics - useful microflora, which is necessary for the functioning of healthy skin. So, pore minimizing serum should be applied to cleansed, exfoliated and toned skin, and after a while, you should apply your favorite moisturizer: cream, primer or foundation. Below we review 7 best serums to minimize pores which can really narrow the pores and give the skin a more smooth texture. This advanced Vitamin B3 formula serum brightens and clarifies with the powerful skin enhancers of Niacinamide and Hyaluronic Acid. This popular product is fast becoming the choice of countless consumers today as their number-one skincare aid. Many users are also praising this serum's capacity to improve hyperpigmentation and alleviate signs of skin aging. It it noted for fading dark facial spots and other imperfections. Acting as an excellent pore tightener and skin hydrating agent, this serum from Skin Daily Skincare Solutions forms a strong barrier that protects the outer layers of your facial skin from losing water. This helps to give your face a stunning, soft and well-moisturized, youthful appearance. 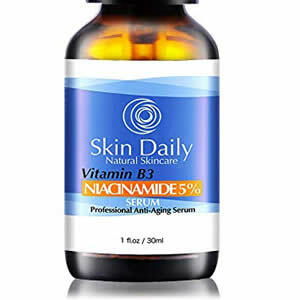 Your skin will look and feel newly vitalized and vibrant with daily use of this Vitamin B3 skin cream. Hyaluronic Acid is a highly effective humectant (hydrating ingredient) that helps keep skin plump, soft and free of wrinkles and lines while reducing acne scars and other skin flaws. When Hyaluronic Acid and Niacinamide are combined in a skincare formula, this winning duo can produce remarkable improvements in skin firmness, texture, hydration and coloration. This specialized serum will enable your facial skin to overcome dryness while enlivening your complexion with renewed brightness. When used every day, this unique skin cream will cause any enlarged pores to virtually disappear while preventing blemishes from developing. It will also activate natural collagen production in your skin cells for a younger, healthier complexion. This serum formula contains plant-based ingredients and is a vegan product that will restore and nurture your skin naturally. It is completely free of paraben, phthalate and gluten and is Leaping Bunny certified as a cruelty-free product. This innovative skincare serum is safe and effective for daily use on all skin types for ultimate toning, tightening and beautifying results. Satisfied consumers give this skincare serum highest ratings for toning skin and tightening pores for greater skin clarification and beauty. This outstanding formula rids facial skin or dryness, enlarged pores and rosacea. Some very pleased users of this product report the fading of bothersome vertical wrinkles between their eyebrows after starting daily serum applications. Enthusiastic users of this serum report no need to use other skincare products when applying this highly effective formula on a daily schedule. Some customers report the disappearance of sun spots and other discolorations from their facial skin with regular use of this skincare serum. A few customers report experiencing skin breakouts after applying this natural serum to their faces. This innovative formula features vegan Hyaluronic Acid in a concentrated form that is five times stronger than most HA skin improvement formulas. Other skin-enhancing ingredients of this serum include Vitamins C and E along with very effective botanical antioxidants such as Aloe Vera, Green Tea and Jojoba Oil. Joined together, these natural and organic formula components act to minimize skin pores, provide anti-aging collagen and reduce facial wrinkles. This skin-enhancing serum also refines skin texture and tone while making skin surfaces softer and more supple. This serum formula is designed for safe use on all skin types: normal, oily, combination, dry or sensitive. It is recommended for regular use by both women and men and can be used twice each day, preferably in the morning and again at night. Vitamins C and E heal and clarify skin cells, fading blemishes and any skin flaws while improving bodily rates of new skin cell production. The antioxidants of Aloe Vera and Green Tea tighten any enlarged pores while smoothing and refining skin. The ingredient of Jojoba Oil also helps heal any skin breakouts, irritations or red patches while acting to hydrate and soften skin tissues and improve elasticity. This advanced skincare product from Catherine Ann is actually gentle enough to be used as a daily eye gel as well as an overall facial skin enhancement aid. This unique skin serum is free of alcohol, sulfates, paraben, scents and animal products. It is also cruelty free. This advanced skin serum offers outstanding pore tightening and skin refining properties for excellent results. This product contains healthy natural and organic ingredients for safe, effective skin hydrating, toning and clarifying action. This pure, skin-enriching formula glides on your skin in a light gel consistency while thoroughly smoothing, moisturizing and refining your face. Some users of this serum report noticing remarkable pore tightening results within the first week of serum applications. Customers like the fact that this skin serum never feels greasy or heavy on their skin, and it absorbs rapidly to improve skin quality. Several customers report disappointment at having received this serum in a damaged, leaking package, which required requesting a replacement order for the product. The Hyaluronic Acid content of this innovative facial serum performs deep skin hydration to plump and rejuvenate skin cells, increasing moisture retention for a smoother, younger complexion. At the same time, Vitamin C lightens dark circles under the eyes while eliminating any puffiness of the delicate skin tissues surrounding the eyes. 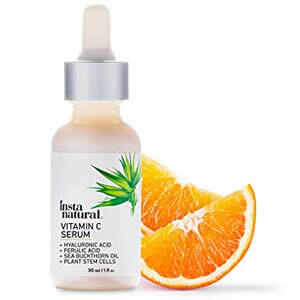 This unique formula from InstaNatural also guards your face from damaging environmental factors like pollutants and toxins with the aid if its empowering antioxidants while promoting increased collagen production by your body. Fine lines and wrinkles will virtually disappear as your skin brightens. Any skin imperfections such as dark spots, clogged pores, blemishes, blackheads and acne will fade away as impurities are cleansed and removed from your face. Any reddened skin areas, discoloration and signs of hyperpigmentation will vanish with daily applications of this active, safe serum. The antioxidant protection of the Vitamin C in this formula is strengthened by other components like Ferulic Acid, which safeguards your skin against damage, and Sea Buckthorn Oil, which supports and shields the outer protective barrier of your skin for better moisture retention. This skincare company is committed to using pure ingredients that originate in renewable natural resources free of any potentially hazardous qualities for safe use on delicate facial skin tissues. Surprised and satisfied customers report very successful use of this serum for eliminating acne scars and other skin flaws. This formula is absorbed by skin tissues quickly and completely for a softer, smoother complexion. Enlarged pores tighten and fade significantly with regular use of this skincare product. This serum formula improves facial skin tone and elasticity greatly for a fresher, more youthful appearance. Several customers report developing mild skin rashes that may be allergic reactions after use of this safe, effective formula. This specialized hydrating serum from Doctor's Dermatologic Formula experts offers dual-phase technology, which provides both instantaneous and long-term pore size reduction and wrinkle fading. This formula exfoliates and smooths facial skin as it refines and shrinks pore size for more youthful, refined looking skin. This product consists of a gel phase and vitamin peptide complex that thoroughly hydrate and promote your body's production of new collagen to fade wrinkles and boost skin tissue elasticity. This unique serum also includes molecules that are surface diffusing to generate a skin-smoothing result while initiating light diffraction to quickly minimize enlarged pores for a refreshed, glowing complexion. This formula is actually multiple products in one: skin primer, moisturizer, pore reducer and wrinkle eliminator. Its anti-aging properties are highly effective in achieving a younger, more vibrant skin quality. This serum also offers strong antioxidant action to protect your skin from free radical damage through thorough hydration of skin tissues. 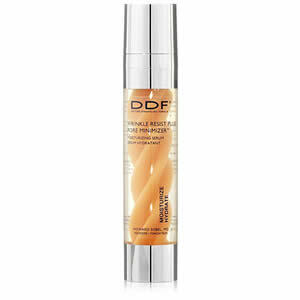 DDF, the award-winning Doctor's Dermatologic Formula created by Dr. Howard Sobel, combines biochemistry, nutrition and clinical excellence to formulate skin care products like this serum to supply your skin with clarity, vibrancy and renewed health reflected in a beautiful, pure complexion. This product delivers all the benefits that its promotional material lists, including outstanding pore size reduction. 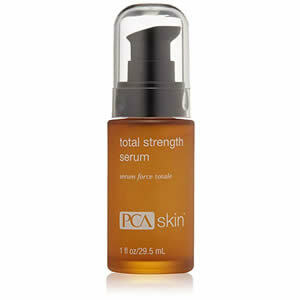 Users of this serum report plumper, better hydrated facial skin with improved tone, texture and color balances. Wrinkles, fine lines and other skin flaws seem to disappear with regular use of this vitalizing serum formula. Several customers report developing some puffiness or skin breakouts after using this product regularly for several weeks. With its innovative formula that includes LHA and AHA-Glycolic Complex, this Effaclar Serum minimizes pores while exfoliating skin for a smoother, softer texture with enhanced tone and elasticity. This serum improves skin tone quality significantly while giving facial surfaces increased levels of radiance. Developed with the input of expert dermatologists, this serum has been shown to be beneficial for all skin types, especially for oily skin since it helps reduce acne scars while inhibiting future breakouts. Derived from Salicylic acid, LHA promotes micro-exfoliation and tightens enlarged pores while AHA-Glycolic Complex, a mix of alpha hydroxy acids, smoothes and refines skin texture and balances skin coloration and tone. 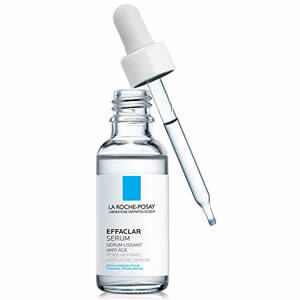 This serum, like all skincare products from La Roche-Posay, has been tested and found to satisfy stringent requirements for efficacy and safety. Because of its contents of AHA, however, this formula may raise your skin's levels of sun sensitivity, increasing your likelihood of developing sunburn. While using this skin improvement serum, you should also use adequate sunscreen protection while exposed to the sun, including use of your sunscreen for at least a week after you stop using this effective skin serum. This product is free of paraben and fragrance, and it is non-comedogenic. This serum is light and non-greasy in consistency, absorbing quickly into skin tissues. This skin enhancement formula is excellent for healing acne and refining pores. Customers like the anti-aging properties of this serum formula's active ingredients. Some users with sensitive skin report developing burning skin sensations and rashes after applying this serum. Some customers are somewhat disappointed that they have not received more dynamic results from use of this serum. MyChelle Clear Skin Pore Refiner tightens and refines pores while reducing fine lines and wrinkles of the face with its pure, beneficial ingredients. This unique serum contains the company's exclusive NatureClear Complex, which combines the anti-inflammatory ingredient of Dermasyr with Lilac Stem Cells, the prebiotic of Yogurtene, Probiotics, Grape Stem Cells and Aloe. This pure, active formula eliminates blemishes, controls skin oils and hydrates skin tissues evenly. It also contains Niacinamide and Retinol for smoother, younger and more resilient skin layers. This vegetarian product is produced free of GMO, gluten, parabens, phthalates, silicones, sulfates, ureas or artificial fragrances and colors. This serum is also cruelty free. This skincare company is a leader in formulating updated bioactive, all-natural skincare products that clean, repair, refine and hydrate facial skin. With regular use of this serum, stubborn acne scars and other skin imperfections will fade, virtually disappearing. Skin will look and feel plumper, softer and more supple while maintaining a healthy glow. This formula is especially helpful in clearing and revitalizing normal, oily and blemished skin. This serum heals blemishes and helps prevent future skin breakouts. Users report that this formula is ideal for balancing, clarifying and refining oily skin that is blemish-prone. This product is good for clearing the skin of hormonal acne and resulting scars or spots. Some users report developing ruddy, rough skin after several applications of this serum. A few customers report being slightly dissatisfied with the hydrating effects of this serum, expecting it to moisturize and soften skin more rapidly. This next-generation formula blends peptides, skin growth factor and multiple pure extracts to minimize pores, wrinkles and lines of the face. The PCA Skin company's focus is on providing safe, effective skincare products that nurture skin for enhanced health. This specialized skin serum contains no dyes, irritants or fragrances, and no animal testing is ever performed on this product. This innovative company's goal is to provide skin enhancing products that bring positive results for repairing, rejuvenating and improving the quality and texture of skin for a more radiant, young complexion. Ingredients of this formula include Palmitoyl Tripeptide-38 for activating collagen to fade lines and wrinkles and Silybum Marianum Extract from milk thistle, which provides antioxidant protection to help prevent free radical damage of the skin. Another active ingredient is Epidermal Growth Factor for revitalizing aging skin tissues and boosting the growth of new skin cells. 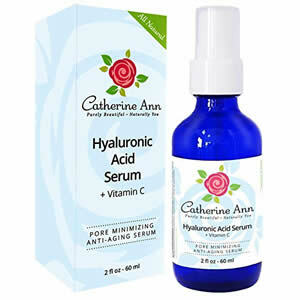 This serum also contains Sodium Hyaluronate, a natural substance for thorough hydrating of the skin. With the capacity to retain 1,000 times its weight in water, this ingredient offers high levels of moisture for plumping and refining skin. This serum lifts, smooths and rejuvenates aging or dull skin while refining pores. Users of this formula report that it is absorbed by the skin evenly for good moisturizing and softening of skin tissues. Acne scars and stubborn skin creases or wrinkles seem to disappear with regular use of this serum. Some users find this product to be too costly for regular use. Some customers report receiving fewer skin improvement benefits from this serum than from other skincare formulas they have used. Final words: what is the best serum to minimize pores for a long term? You will be surprised, but we have chosen a serum that is not listed at all. It's The Ordinary Niacinamide 10% + Zinc 1% and we invite you to read our detailed review. Thanks to zinc, after the first week you will feel that your skin has become much less oily, and you no longer need to blot it with a napkin during the day to remove excess oil. And the main effect of niacinamide -- the improvement of microcirculation -- will manifest itself only after 2 months of regular use, but it is definitely worth it. Why we did not include this serum in the main list? The fact is that it contains only 2 ingredients and you, obviously, will need other 1-2 products to ensure that the skin care with enlarged pores is complete. These are The Ordinary products -- they usually contain one or two ingredients, but in very high concentrations. You will need some experience in dealing with them, otherwise, you risk being disappointed. If you want to see quick results and are not ready for experiments -- try one (or few) serums from our list. And once again we would like to say that the pore minimizing serum itself can only help you if you have already opened and cleaned the pores using scrubs (peelings) and masks. Please note I that I’m not a doctor, medical professional, or licensed skincare specialist. The opinions expressed on SerumBoom.com are based on my own thoughts, knowledge, and experiences. Therefore, all content on this website is for informational purposes only and not to be considered as a medical or skincare advice. Some posts may contain affiliate links. Serumboom.com is a participant in the Amazon Services LLC Associates Program, an affiliate advertising program designed to provide a means for sites to earn advertising fees by advertising and linking to Amazon.com.